Last week Liam Gallagher debuted another new track from his highly anticipated solo album, As You Were. Gallagher continues to build anticipation for theOctober 6 release of his debut solo album by sharing the brand new video for the track “Chinatown.” The video was directed by Charlie Lightening for Lightening Films (Paul McCartney, Paul Weller, Kasabian) and was filmed at several locations in London one of which of course was London’s Chinatown area. Click here to view and share the video. In contrast to album’s first single “Wall Of Glass,” “Chinatown” is an atmospheric, psychedelic slow burner in which he utilizes a softer side of his inimitable vocal prowess. 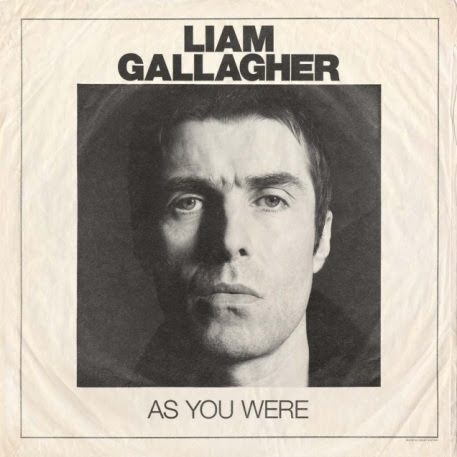 The two tracks hint at what to expect from As You Were, with Gallagher adding a forward-looking expression of his passion for a wide range of influences from the 60s and 70s. “Chinatown” was produced and written by Andrew Wyatt, the frontman of the band Miike Snow, whose previous credits include collaborations with the likes of Florence + The Machine. In addition to his work on “Chinatown”, Wyatt also co-wrote four other tracks on As You Were the shape of “Wall Of Glass”, “Paper Crown”, “Come Back To Me” and “Doesn’t Have To Be That Way”. Gallagher is already back to his very best. Click here to view and share Gallagher’s performance of his first-ever solo single “Wall Of Glass” from his recent triumphant Glastonbury performance. Click here to view and share an interview with Gallagher also from Glastonbury. As You Were is now available to pre-order from https://l-gx.com/lg_asyouwere with “Wall Of Glass” and “Chinatown” provided as an instant download. It will be released on digital (standard and deluxe), CD (standard and deluxe) and vinyl (standard 12″ and limited edition color 12″ formats). A special boxset is also available from https://wbr.ec/lg-store-dlxboxset. It compiles a color 12″ vinyl of the album, an exclusive 7″ format of “For What It’s Worth,” a print designed by Klaus Voorman (the artist behind The Beatles’ Revolver album cover) and additional collectors’ items. Click here for more information.